Without leaps of imagination, or dreaming one lose the excitement of possibilities. Dreaming after all is a form of planning which is proven to be right with one of the greatest Indian entrepreneurs who was the architect of India’s white revolution and was known as “Father of White Revolution” for making India as the world’s biggest milk producing country. This resulted in making Diary farming as India’s largest self sustaining industry. He later on protruded his ideas in edible oils too making it self sufficient in our country. Through “Operation flood” he contributed a lot for Agricultural development. Out of all these he was known as the founder of Amul. From big to small everyone knows Amul as it is the only product which can be found in every house possible. Verghese Kurien was born on 26th November 1921 to a Christian couple in Kerala. He was married to Molly and had a daughter named Nirmala. He graduated from Loyola College of Madras in the year 1940, obtained his Bachelors in mechanical engineering from the college of Engineering Guindy. In 1948 he got his MS degree in mechanical engineering from Michigan State University. According to Legend when a troop of farmers from Kheda district narrated their problems to Sardar Vallabh Bhai Patel in 1949 who was busy with unnumbered problems post independence, being a Deputy Prime Minister and Home Minister directed a young engineer to go to Gujarat and warned him not to return until he solved their problems. At that time no one expected that the Iron man of India was sending a man who is soon to be called as the Milkman of India. 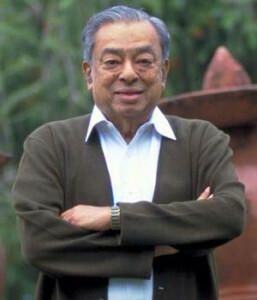 The action man Verghese Kurien solved most of the problems faced by farmers through White Revolution he originated despite working at Anand, in Gujrat (government of India’s experimental creamery). Actually at that point of time he is not interested in continuing there but stayed back on Tribhuvandas Patel’s request. With his support Kurein established Amul, the top Asian brand with a turnover of nearly Rs13000 crore surpassing the United States of America in milk production. Amul model was mimicked in not only other states but also abroad. This turned India as world’s largest milk producing country which accounts for 17% milk production globally. His forced tenure in Anand has yielded a great fortune for Indian Diary industry. The first Diary Co-operative Union in Gujarat which was formed in the year1946 comprised of 2 village Diary Co operative societies as its members now reaching to a number of 16,100 with 3.2 million members pouring milk twice a day, every day. Today GCMMF bulged out into India’s largest dairy products manufacturing and marketing organization. The work he had done and the effort he kept in reforming our country into the largest milk producing country gained lot of applauds and our government conferred the award ‘Padma Vibhushan’ to him. Next to that he was awarded the world food price, the Ramon Magsaysay award for Community leadership, the Carnegie Wateler World peace prize and the International Person of the Year award from the U.S.
Dr. Kurein has his hands on designing the systems and institutions which enhances the growth and development of people since he believes that one can achieve the development by possessing the tool of development. Contributing a lot to the farmer’s lives and remaining as a God to many, he passed off at the age of 91, on September 9th 2012 at Nadiad, near Anand in Gujrat. Indians offered their final tribute to the Legend who taught us that self- belief and determination can pay huge dividends. This entry was posted in V and tagged Father of White Revolution, Founder of Amul, Milkman of India., Verghese Kurien Biography. Bookmark the permalink.